Wie regelmatig naar het nieuws kijkt, heeft het rond de soldenperiode zeker en vast al eens gezien: de winkelketen ZEB die tijdens de sperperiode toch openlijk fikse kortingen aan hun klanten geeft VS de overheid die hen telkens weer op de vingers tikt. Elk jaar is het weer een hevige strijd. Argumenten en zelfs boetes vliegen heen en weer, maar bij ZEB blijven ze aan hun standpunt vasthouden: winkels moeten zelf kunnen beslissen wanneer ze kortingen geven en hoeveel die kortingen bedragen. Om hun doel zo snel mogelijk te kunnen bereiken, zijn de mensen bij ZEB met 'Het Sperperiode Protest' gestart. Dit is een petitie die, door iedereen die ZEB steunt in hun strijd, online getekend kan worden. Daarna zal deze petitie aan de federale overheid worden afgegeven, in de hoop zo de sperperiode af te schaffen en winkels zelf te laten beslissen wanneer en hoeveel korting ze willen geven. Om hun trouwe klanten te belonen hebben ZEB en een aantal modebloggers de handen in elkaar geslaan, waaronder dus ook Shark Attack - Fashion Blog! Als je ZEB wilt steunen en de petitie via mijn blog tekent, maak je namelijk kans om een gift card t.w.v. € 30 te winnen. Er zijn twee gift cards ter beschikking, wat dus inhoudt dat er ook 2 winnaars zullen zijn! Wil jij je kans wagen om één van de twee gift cards te bemachtigen? 3. 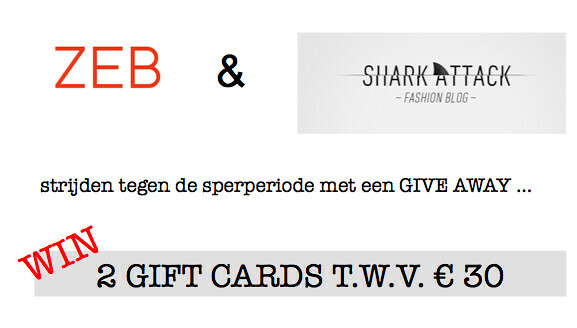 Like de Shark Attack - Fashion Blog Facebookpagina, want daar zal ik de twee winnaars bekend maken! 4. Laat een comment achter met daarin zeker je Facebook-naam en emailadres. De give away zal op maandag 30 juni 2014 eindigen. Wat is jullie mening over deze kwestie? Vinden jullie ook dat elke winkel hun eigen kortingen mag bepalen én wanneer ze die kortingen geven? Laat zeker jullie mening in de comment box hier onder, ik ben héél erg benieuwd. 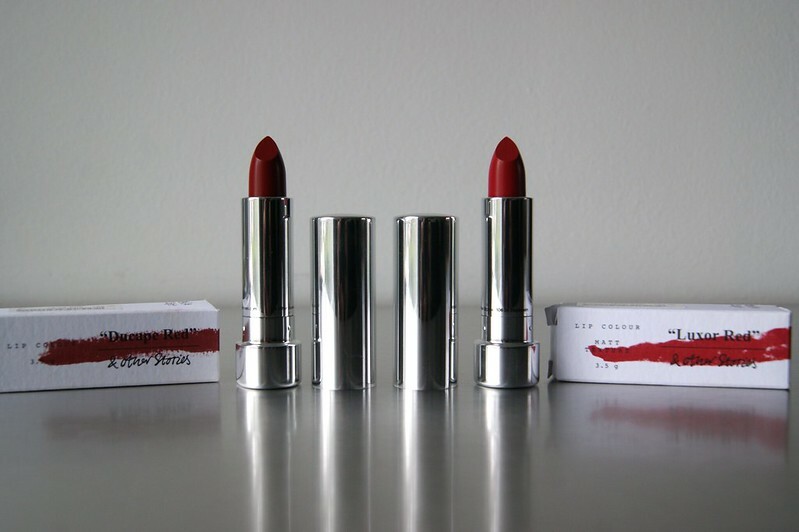 I already showed you one of these lipsticks in the last video I posted (HERE); I originally wanted to show you both of them, but I accidentally deleted an entire scene, oops. I got them at the opening of the & Other Stories store in Antwerp (of which I wrote an article about HERE) and they have been waiting to be reviewed ever since. Curious to see what I think about them? 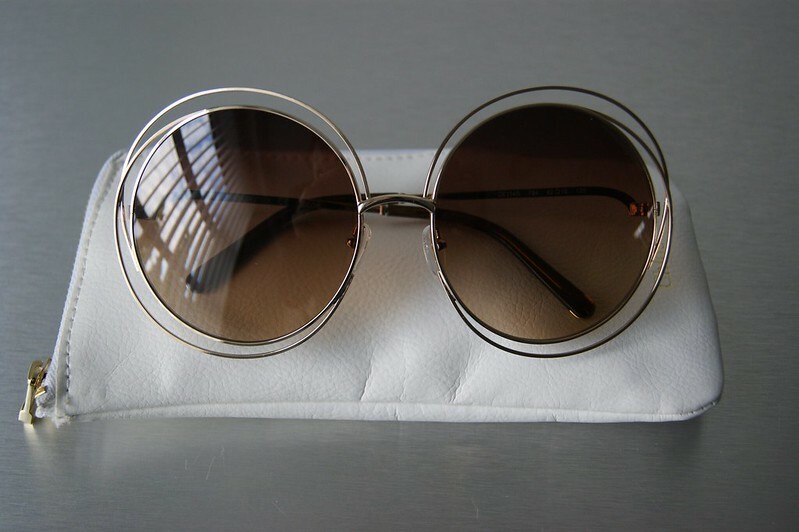 Remember how I wrote about my love for the Chloé 'Carlina' sunglasses here? Well, I can finally add 'her' to my inner circle. After looking for her all over Belgium and even in Rome - without any results - I decided hit the World Wide Web. Like seriously, how hard can it be to find a pair of sunnies? I'm usually quite paranoia when it comes to ordering stuff online, especially not-so-cheap sunglasses. My mom convinced me to click the sunnies home and so I did. I ordered them on Otticanet and everything went amazing, thank God. I ordered, payed and could follow my package's every move via the FedEx-website.When I first laid eyes on Carlina, I totally fell in love and others seem to like her too, since I received tons of compliments already. Since I deleted one scene completely, I think it's safe to say that I'm still learning on how to edit videos, lol. Aàànd, I got the Nikes from JD Sports and not J Brand, no idea why I said it. I'm such a freakin' idiot. Anyway, here's my new video with all of the new items that I received in May. To find a list of all of the items, click below. If you don't like The Simpsons, you're probably not in my circle. Whenever I hear that world famous, insanely epic introduction tune, flashbacks are taking me back to simpler times that took place years ago. I can still remember watching every single episode, sitting in my grandparents' living room with my sister after school, waiting for our parents to pick us up on their way back from work. Damn, what I'd give to relive it all just one more time. When Blackfive gave me the opportunity to pick out some items from their web shop, I immediately clicked this Bart Simpson shirt home. Now, I would be me if I didn't add a touch of leather to my outfits, so I decided to combine it with this leather pencil skirt. I'm really loving how this look turned out. Ay caramba! If you had told me that I'd be wearing Nikes incorporated in an outfit a couple of months ago, I probably would've looked at you with my best "Yeah Right" type of smirk on my face, eye rolling included. I never really got the trend / hype / whatever you want to call it, but I must say it most definitely tickled my curiosity. When a super friendly fella from JD Sports mailed me, asking me if I'd like to choose a pair of the shoes they're offering on their website, I thought it would be the perfect opportunity to find out what it is that everyone likes about wearing Nike sneakers combined every outfit possible: casual, chic, sporty or yet super feminine ... it seems globally accepted to wear Nikes with everything nowadays. I decided to go for these white / grey / pink Nike Max Thea sneakers and threw them on for a day out with my mom. A pair of skinny jeans, a simple tank top and my lace bra (to add that girly touch, y'know?) seemed like the perfect, yet still kinda safe combo for losing my Nikerginity -- yes, I just invented that word. I can definitely see why everyone wears them, since they are extremely comfortable. It feels as if you're having super comfy cushions stuck on the bottom of your feet. However, I was a bit paranoid while wearing them, a feeling I rarely get when it comes to wearing clothes. I constantly kept asking my parents if I looked OK, if the sneakers matched my outfit, if they were 'me' or not. I'll be honest: I think they are dope as hell, even though I still have the urge to wear them to the gym and to the gym only -- nothing wrong with that, right? However, you never know; there's always a chance that you might see these Thea's on the blog more often. Please Note: Even though Birkenstocks are also in the 'Acceptable To Wear With Every Outfit Imaginable'-section, you will never EVER see me wearing them. To those who do wear them: no hard feelings? I'm so late with this post -- most of you will already have read tons of posts about this event -- but I still wanted to share my pictures of the most talked about and most anticipated store opening of the year: & Other Stories. Even though I was sick as *beep*, I jetted off to Antwerp for a night full of drinks, bites, clothes, shoes, make up and a reunion with my blogger buddies. That's me with my darling Valerie of the blog Mirror Of Fashion in the picture above. Be sure to check out her blog, I love her! The & Other Stories store in Antwerp is a gigantic 2-floor building filled with the most drool worthy items. The brand is registered under the H&M Group and has ateliers in both Paris and Stockholm, which definitely shows in their clean, minimalistic yet sophisticated design. And not to forget: your wallet will love the store too, since everything is totally affordable. Thumbs up! My favorites are the shoes and beauty department; they are out of this world. The store was literally packed with fashion lovers, celebrities, bloggers ... but I still managed to snap some pictures before it was too crowded. Enjoy!